The SFTP Transport destination allows you to send your form data over a secure connection following Secure File Transfer Protocol. Below are the steps to follow if you want to set up this destination for one of your forms. A new page will load, and on it you will see different destinations to send your data. Next, select "SFTP Transport". After selecting the destination, you're given the option to choose the format. In this example, I chose XML. 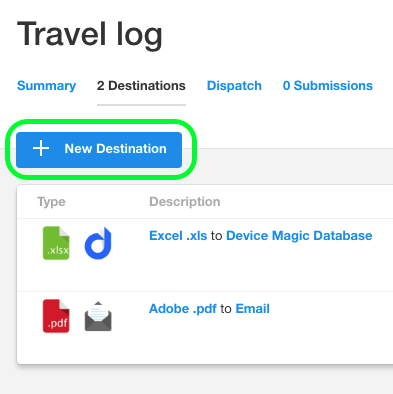 If you like, you can add a Description in your "Destination Options" box, but this is optional. Additional options are available for the XML file. You can name the file that is generated upon submission or download a sample of the type of XML file you'll receive. Then, input your server's host name, username, and password. You also have the option to create a folder path (which can be customized using the placeholders provided). 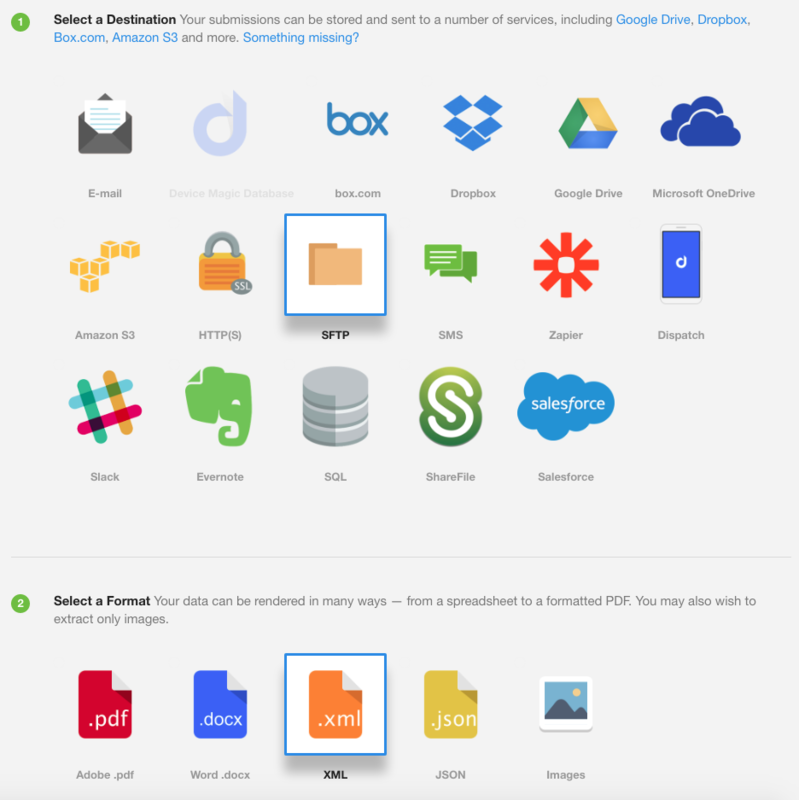 This concludes our overview of adding the SFTP destination. If you have any questions or comments feel free to send us a message at support@devicemagic.com or leave us a comment below.